3 hrs adventure along the river and lake of Pokhara valley. 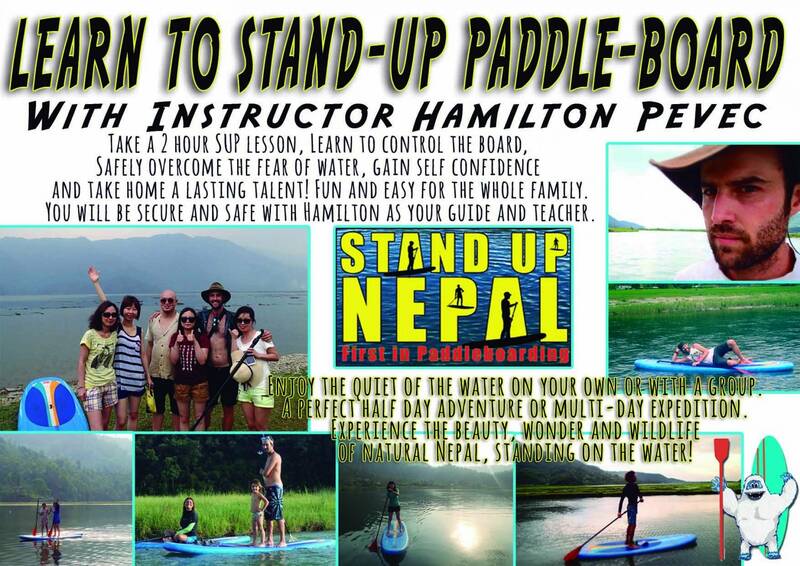 A must do, beautiful and relaxing, for everybody..
Amazing relaxing trip on the back river of Pokhara Lake. 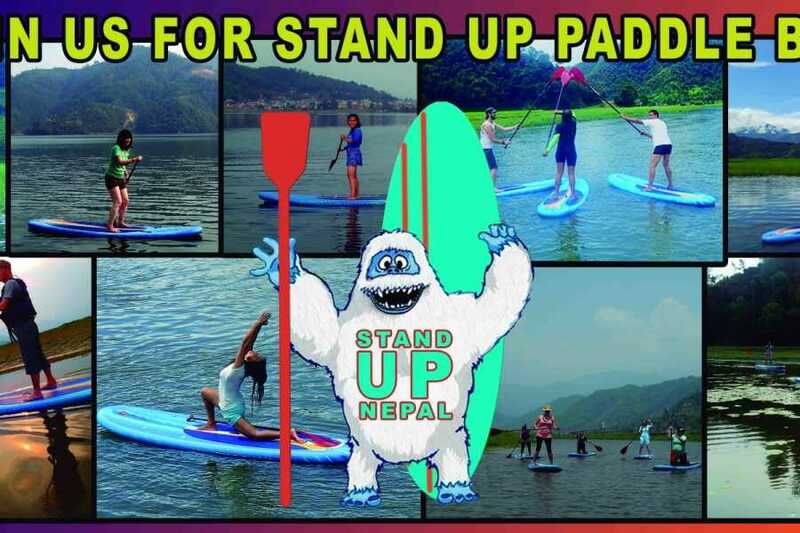 Stand Up Nepal is the first paddle boarding company in Nepal. We are based in Pokhara and offer half day trips that wind down the river surrounded in rice paddies and then across the lake. We also offer longer expeditions. 4 Hrs trip , 25 Minute by jeep . We provide all equipment with guide that will give you an introductory course. We have small groups of six. 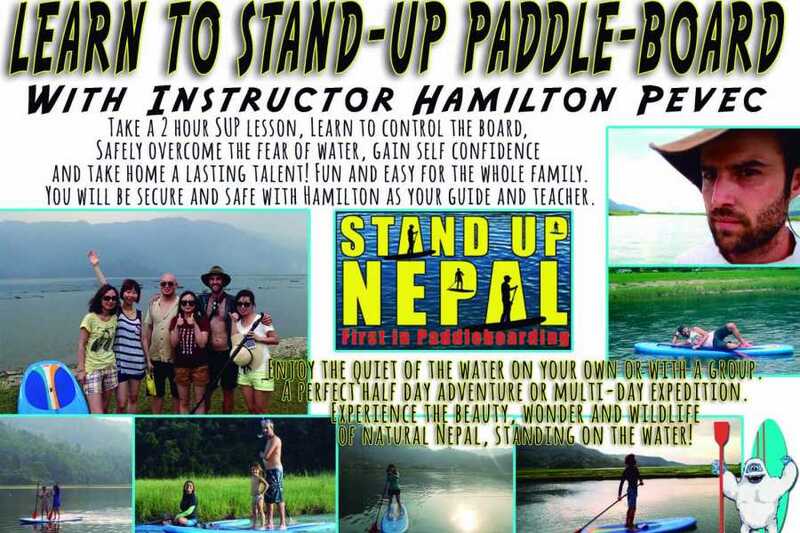 If you can't swim you can still paddleboard with a life jacket on. You need to bring: shorts, swimming gear, dry clothes and a snack for after the trip. Our office is beside Blue Sky Paragliding in Lakeside, Pokhara. Amazing relaxing trip winding through rice paddies and crossing the Pokhara lake.